Margherita Urbani in her studio. 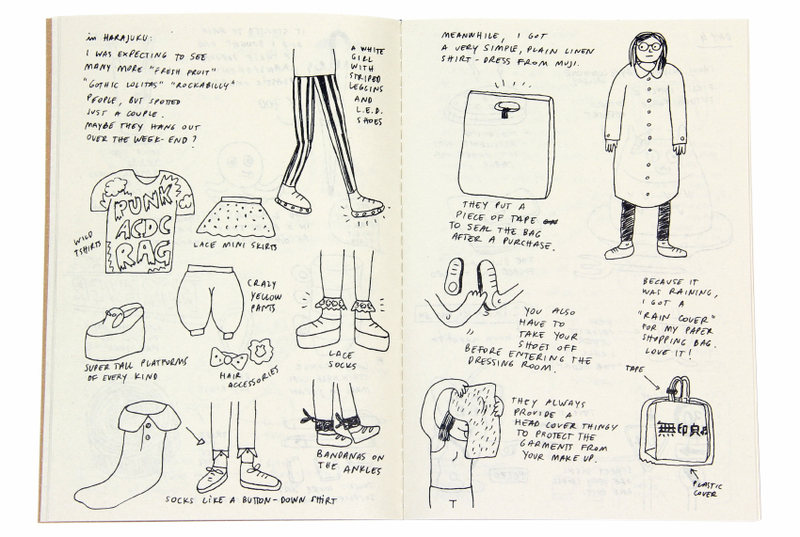 When illustrator Margherita Urbani traveled to Japan for the first time, she recorded her experience the best way an artist can: by sketching thoughts and impressions in her sketchbook. For the better part of two weeks, the Philadelphia-by-way-of-Italy artist filled pages with doodles of restaurant bills, children's haircuts and clear plastic umbrellas, jotting down observations and memorable moments. The resulting Tokyo Diary is a 40-page travel guide that eschews the usual local insider perspective. Instead, it shows the wonder that comes when we enter a new culture as outsiders. Her wry, offbeat illustrations inspire us to do something few travel guides do: begin turning our memories into art. With her drawings already bound by Tokyo press Commune, today she recounts her Tokyo trip with words. What made you choose Japan as a destination? I grew up reading manga and watching anime, so I always had a sweet spot for Japan. As a creative person I've been longing to go to Tokyo for quite some time for a design inspiration trip. 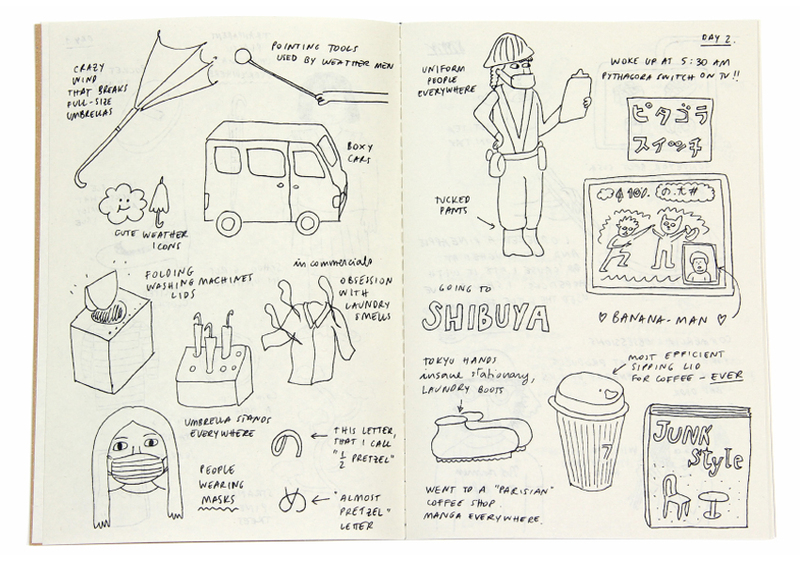 I craved visiting Japan for so long that I decided to keep a sketchbook so the memories wouldn't fade. Every day I tried to draw everything I could remember seeing. I was in touch with Commune already, and I shared the making of the journal with them. Eventually they liked it so much that they offered to publish it. What were your fears before going? Leaving my comfort zone and exploring differences is a source of excitement for me. My only fear was not having enough time to see it all. Everything! And all my expectations were exceeded greatly, especially in the art and design field. Who did you share your trip with? I was there with Andy Rementer who is my life and work partner. He had an art show in Shimokitazawa, so that was the perfect excuse to finally plan the trip. What was the first thing you thought when you walked into the streets of Tokyo for the first time? I was expecting it to be a busier, more claustrophobic version of New York. Instead, while the streets are way more narrow, there was a calm feeling, and people were very nice and seem to walk at a slower pace. It only took me a few hours to know I could move there in a heart-beat. Besides a ton of food and omiyage, I got an extra piece of luggage just for art supplies. Did you try any Japanese candy? What was your favorite? I don't have a sweet tooth, but I like the gummy grape gochi candies. What stands out to you most about your trip? Do you have a special memory or incident from the days you spent there? Some fashion statements I saw in the streets of Shibuya and Aoyama definitely stood out. I also really enjoyed the city with the rain. Of course I had to get one of those transparent umbrellas that you see everywhere. Margherita Urbani is an illustrator currently living in Philadelphia. Her work has appeared in Apartamento, Anthropologie and Valley Cruise Press. 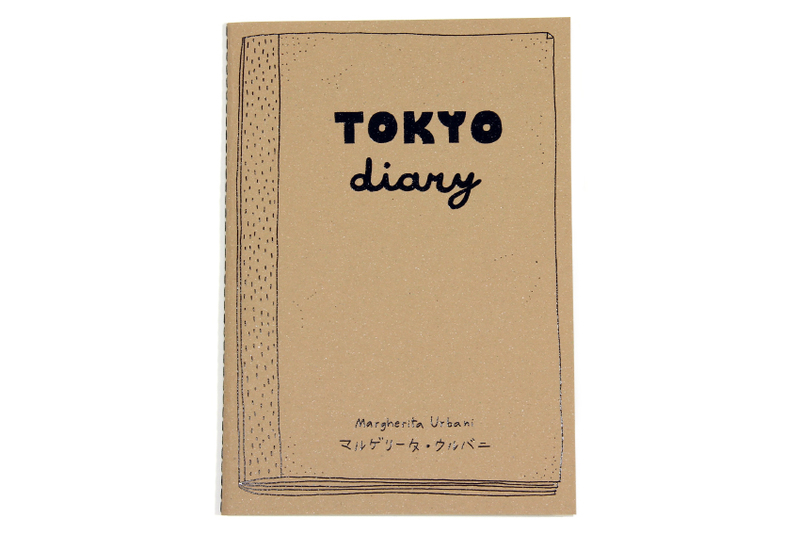 Tokyo Diary will be available to read in our new in-store library, coming this November.